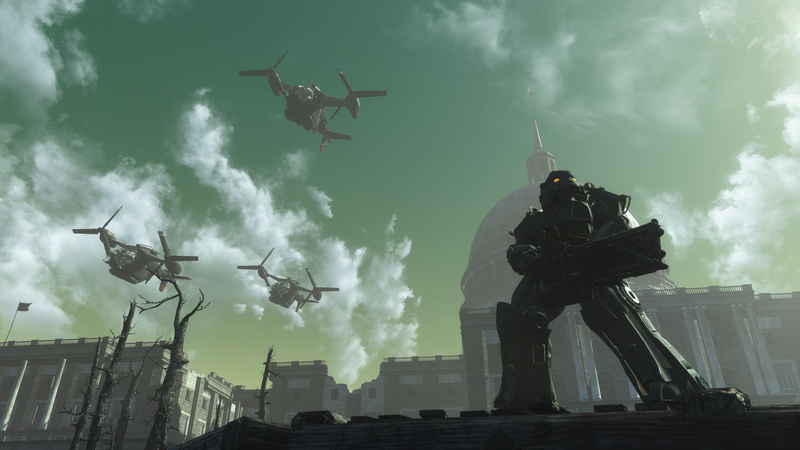 The team behind The Capital Wasteland Project, a mod to recreate Fallout 3 inside Fallout 4, has canceled the project after consulting with both Bethesda and outside legal counsel. “This was honestly one of the hardest decisions I’ve had to make,” the project’s lead programmer, NafNaf_95, tweeted yesterday. In a statement circulating on Twitter, NafNaf_95, whose first name is Nathan, tried to explain why the team pulled the plug. “Recently we have communicated with Bethesda regarding our planned method to implement the voice acting and the other audio from Fallout 3 into the Capital Wasteland,” he wrote. “During this conversation it became clear our planned approach would raise some serious red flags that we had unfortunately not foreseen.” As a result of both not being able to use the existing voice acting due to licensing issues, but also not having the resources to record new dialogue, as other sprawling mods do, Nathan said the team decided to call it quits. According to Nathan, the Bethesda employees said a better path forward for the project would be to emulate Beyond Skyrim, a fan expansion of the base Elder Scrolls game that added new areas with unique quests, dialogue, and music. But a project in this vein would have been beyond the capacity of Capital Wasteland’s five-person team (supplemented with a small group of additional volunteers). “And realistically the small team I had didn’t have the manpower,” said Nathan, who worked on one of the Beyond Skyrim mods. After the bad news from Bethesda, Nathan contacted a lawyer who, he says, backed up Bethesda’s stance. “Basically everything we were doing was sketchy as all hell,” he said. Feeling the project had too high a probability of being shut down, the team decided canceling it was the only option. Since his conversations with Bethesda and the attorney, Nathan said that he spoke with the team behind another mod, called Fallout 4: New Vegas, that was planning on dropping New Vegas’s voice work into Fallout 4. That team, he said, has since decided to take on the task of re-recording the game’s 90,000 lines of dialogue. Capital Wasteland had its first official project progress update in April 2017, though work on it had been going for several months by that point. Nathan calculated that even without the extra task of recording new voices, the project still had over two years’ worth of work left until it would be complete. “It’s a huge risk to spend years of our lives working on something like this to have it potentially shut down,” he said.